Search For "Agriculture" Companies in East Providence, Rhode Island - Click Here Now! At Furniture Clearance Centers, We Have The Largest Selection Of Low Cost Furniture Filling Over 60,000 Square Feet Of Showroom. All Of The Stores Stock The Best Low Cost Home Furnishings You Can Find. There Are 3 Stores In RI Including Cumberland, Warwick, And East Providence. Also There Is Another Location In Seekonk Ma. 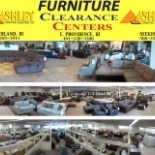 Furniture Clearance Centers in East Providence is a company that specializes in Lawn & Garden Services. Our records show it was established in Rhode Island.